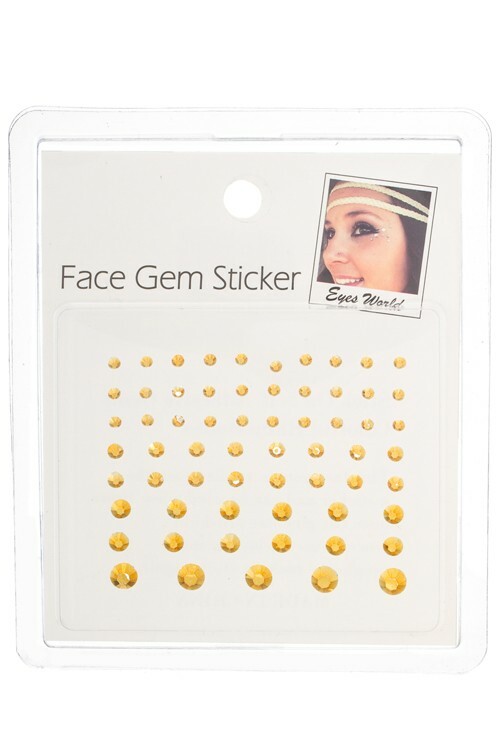 Faceted gold crystal face gems in assorted sizes, 63 pieces. 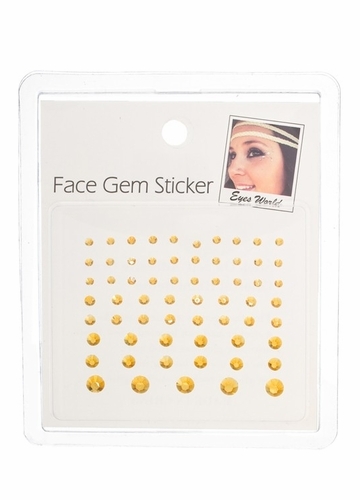 Stick on self adhesive gems. Can be used a few times until glue dries out, then use eyelash or make up glue to make it sticky again.